Established in 2012, IQ Option is an online trading brokerage that has been regarded as one of the best reviewed brokers around the planet. Operated by IQ Option Ltd, this broker offers its services to traders across the planet. IQ Option offers a great platform for all range of traders from beginners to more advanced and seasoned traders. The ability to make trades as little as $1 gives the beginners a chance to get their beaks wet without risking lots of their capital. IQ Option offers three different accounts for trading on their platform, demo account, real account and a VIP account. While the demo lets you play around with a virtual currencies, the real and VIP accounts offer several advantages to the traders who use them. IQ Options lets you start trading with as low as $10 which is one of the lowest amounts in the industry. This low price mark makes the platforms accessible to a wide array of people. Minimum deposit for a VIP account goes to $3000 from the $10 needed to open a real account. While this price might seem high, it does greatly increase the tools you have at your disposal to control and properly invest that money. Once you make your account, you transfer your funds into your account and then select the binary option you want to invest in and get started. IQ Option wants to get you from putting in your information to trading as quickly as possible. How does the money flow work? 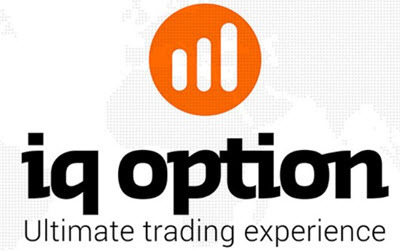 IQ Option allows traders to deposit and withdraw their money through a selection of options. These options include debit (Maestro and Visa Electron), credit cards (MasterCard and Visa), bank wire, and e-wallets. Withdrawing your funds takes about 1-3 days for real account holders, and 1 day with a request for the VIP accounts. There is a minimum withdrawal same as the minimum deposit at $10. This transparent company also details their payment procedure on their website. What sets this broker aside from most of their competitors in the industry is the fact that IQ Option uses its own software that they continuously update and grow. The platform is multilingual and is able to support English, Chinese, Russian, Italian, Spanish, German, French, Turkish, Portuguese, Swedish, Korean, Arabic and Indonesian. With over 500 underlying assets, this platform also lets traders place trade contracts and options on numerous stocks, currencies, commodities, and indices. Offering support through Live Chat, Phone, Contact Form and E-mail, allows users a variety of ways to get help when needed. The 24/7 availability of customer services does go a long way in putting the minds of potential first timers to seasoned trades mind at ease. IQ Option runs in your browser eliminating the need for a download of an application on your computer. However there is an application for your phone, to provide mobile users with a more fluid experience. Giving you the trader ability to trade on the go and make money wherever you are. 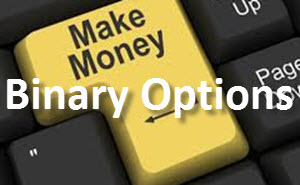 Use this and many other advantages IQ Option provides to get into trading binary options and start making your money.